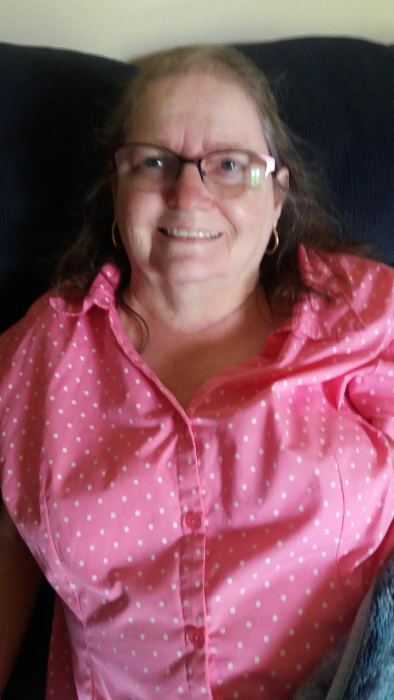 Sophia- Shelby Jean Flanagan Brewer, 62, left this life to go to her heavenly home on June 30, 2018. Shelby was born June 21, 1956, to Franklin and Fannie Mullins Flanagan, in McDowell County, West Virginia. She was preceded in death by her father; Franklin and her son; Jimmie Sands Jr. She is survived by her husband of 18 years; Gary Brewer, of the home, her mother; Fannie Flanagan of Sophia, NC, a daughter; Ada Williams of High Point, NC, her brother; Steve Flanagan (Linda) of Sophia, NC, and stepson; Jason Brewer (Stacy) of Morganton, NC. Shelby was a proud grandmother of 5 granddaughters and 1 grandson. She loved shopping, yard sales and was an avid collector of Coco-Cola memorabilia. She loved going to the beach and sitting on the balcony to watch the ocean waves. Shelby never knew a stranger. She always had a smile on her face for everyone she met. She worked at Food Lion and later opened Grandma’s Baby Store on 311 in Sophia, NC. A Celebration of Life Memory Service will be held Saturday, July 21, 2018, at 1:00pm at The Church of the Living Word, 3024 Spencer Rd, Archdale, NC 27263, with Pastor Jack Elkes officiating. The family requests everyone to join them in fellowship after the service in the church fellowship hall.